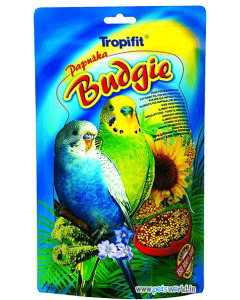 A budgerigar’s natural diet consists of seeds, vegetation, berries and fruits when they are in their natural habitat. 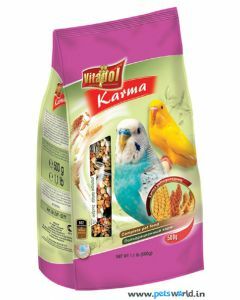 When you have a budgerigar as a pet, you need to nourish it with similar things. 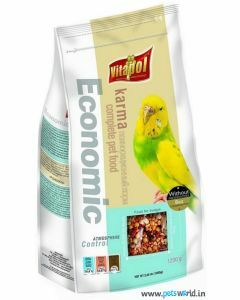 Doing so can be a challenge, but at Pets World we make this easy for you and your pet bird. 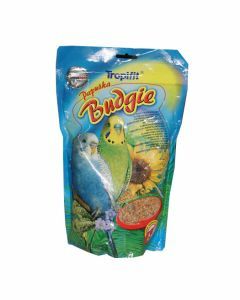 Our Budgerigar diet online section at the site will make your budgies favourite food readily available to you. 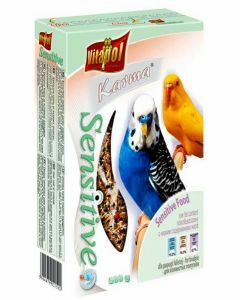 Topfit budgie food, Vitapol sensitive food for budgies, Vitapol economic food for budgies or SmartHeart bird food for budgies are a few of the options you will encounter. 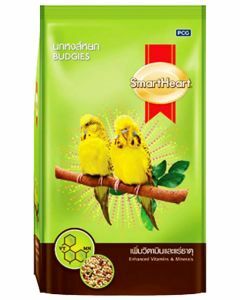 SmartHeart bird food for budgies has well-balanced proportions of protein, fat, carbs, fibre, vitamin, minerals that are essential for the optimal health of a budgerigar. 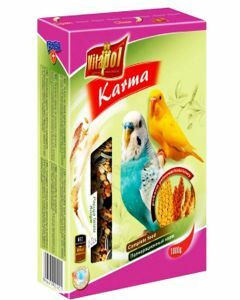 Budgerigar diet in the form of budgies pellets is specifically produced to be budgies favourite food keeping in mind their natural diet and the nutrition necessary to keep them healthy and active. 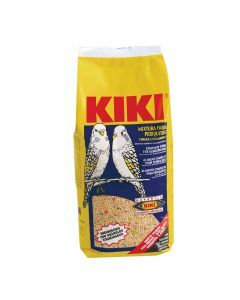 Kiki bird treat for budgerigar could be a nutritional source and also can be used in training your budgerigar pet. Our products give you variety in terms of ingredients, packaging, cost, etc. All products are 100% vegetarian. We stock products from produces like Vitapol, Kiki, SmartHeart, Witte Mollen, etc. 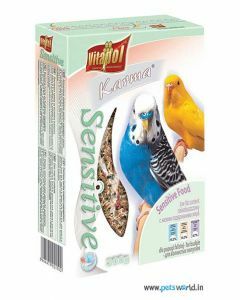 who have research-based products for budgies and other bird species that aim to keep the bird healthy and bring out their inborn qualities to the fullest.